According to study abstracts at the National Library of Medicine, under the name MEDLINE, turmeric and its primary polyphenol – curcumin provide positive effects in the case of 600 health issues. Numerous clinical and animal studies have shown that the absorption of curcumin in the body is reduced, so its health benefits cannot be completely used. To clarify this, it has been found that regardless of the dosage taken, its concentrations in the urine, blood plasma, and peripheral tissues, if detectable are extremely low. Black pepper is the best turmeric adjuvant, despite its own health benefits. The findings of a study under the name Influence of Piperine on the Pharmacokinetics of Curcumin in Animals and Human Volunteers pointed out that the combination of curcumin and piperine raises the bioavailability of curcumin by 2000%. Since it is fat-soluble, turmeric’s absorption is determined by fats. Therefore, if you combine it with fats, like olive, coconut, or ghee oil, it will be directly absorbed into the bloodstream through the lymphatic system, bypassing the liver. 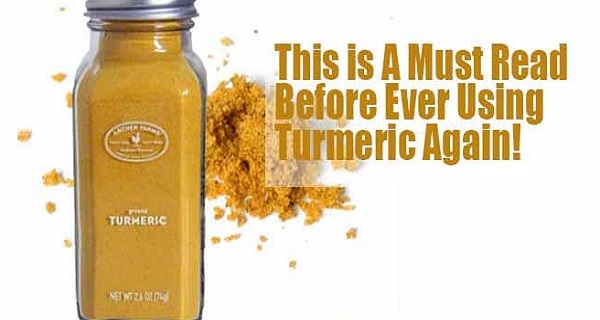 This is due to the fact that the amounts of curcumin exposed to metabolic enzymes are reduced, and the rest remains in the system, in a free form. Therefore, it is of high importance to be aware of these facts before you start using this miraculous spice. To activate it, you should heat it up. Then, mix it with some freshly ground black pepper, as that will boost its absorption by 2,000%. Additionally, mix it with some healthy fat, and you will prevent the metabolic processes in the liver.